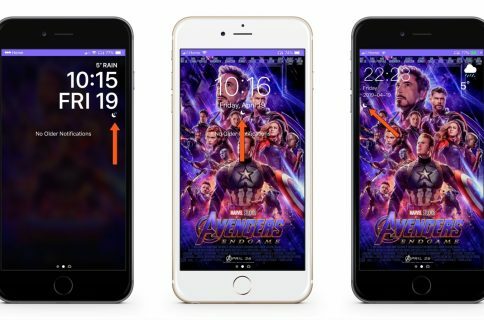 Your iPhone’s Lock screen and Notification Center are each home to a specialized interface for displaying the date and time along with a list of information notifications – this interface is known as the Dashboard. 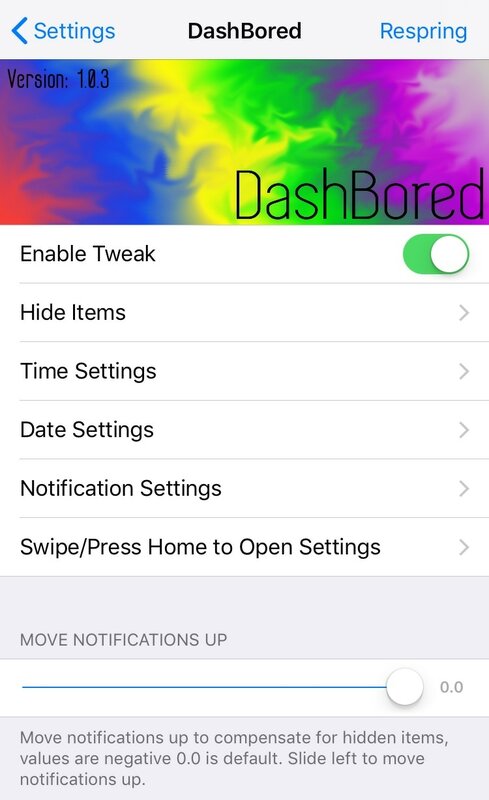 That said, if you’re feeling a bit bored with the stock look and feel of the Dashboard, then perhaps you should try a new free jailbreak tweak called DashBored (pun intended) by iOS developer Smokin1337. 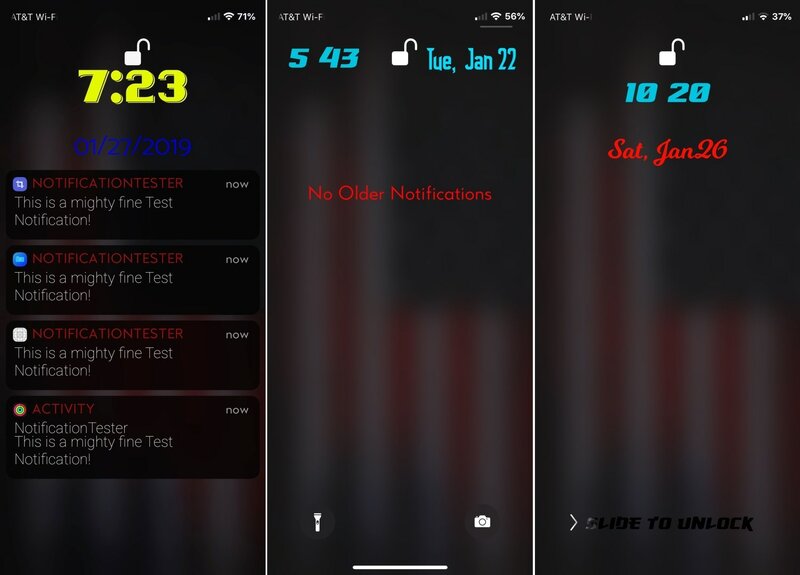 As shown in the screenshot examples above, this tweak lets you customize the Dashboard’s colors, font, notifications, text, and much more. 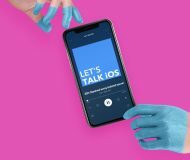 As you’ve undoubtedly noticed already, there’s no shortage of configuration here; the sky’s the limit for customization, and you can let your imagination run rampant as you configure custom colors and fonts for the Dashboard interface. Results will vary from person to person, as everyone has a different idea of what looks good and what doesn’t. 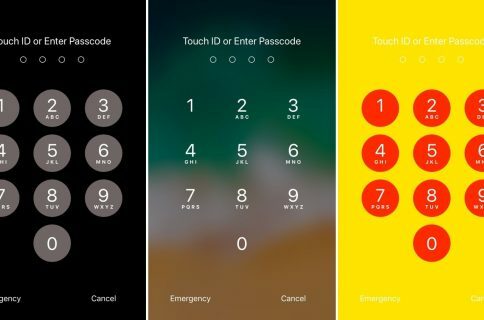 The developer also notes that a respring isn’t required for all settings, but crucial settings will prompt you for a respring automatically. 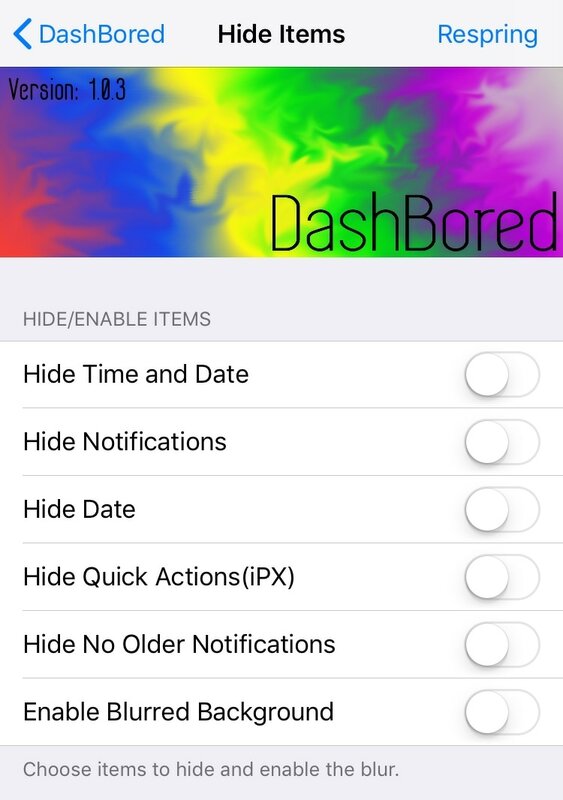 If you’re interested in trying DashBored for yourself, then you can download it for free from Cydia’s Packix repository. 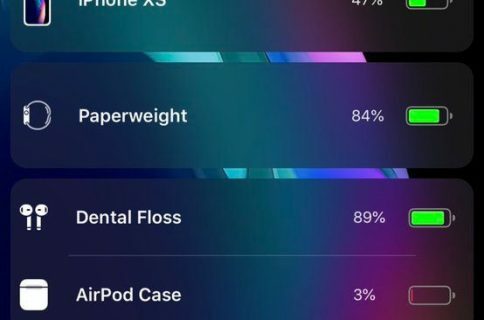 The tweak works with all jailbroken iOS 11 devices, and it even plays nicely with NepetaDev’s new Slyd tweak. 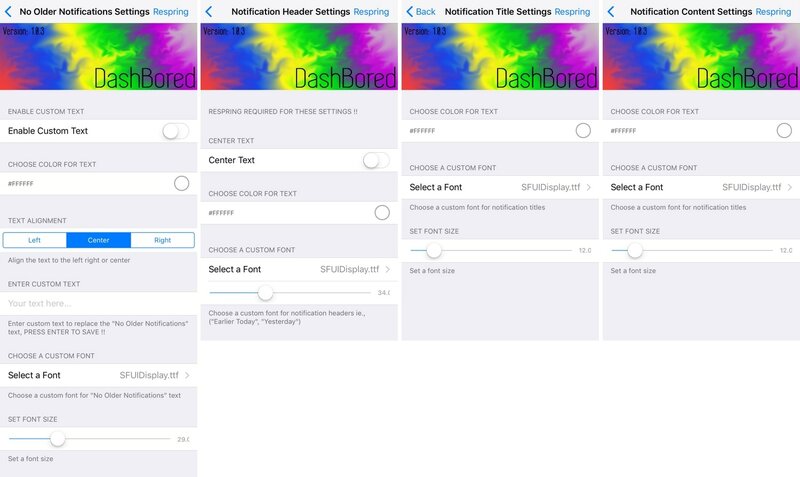 DashBored does not work with LockPlus or XenHTML. 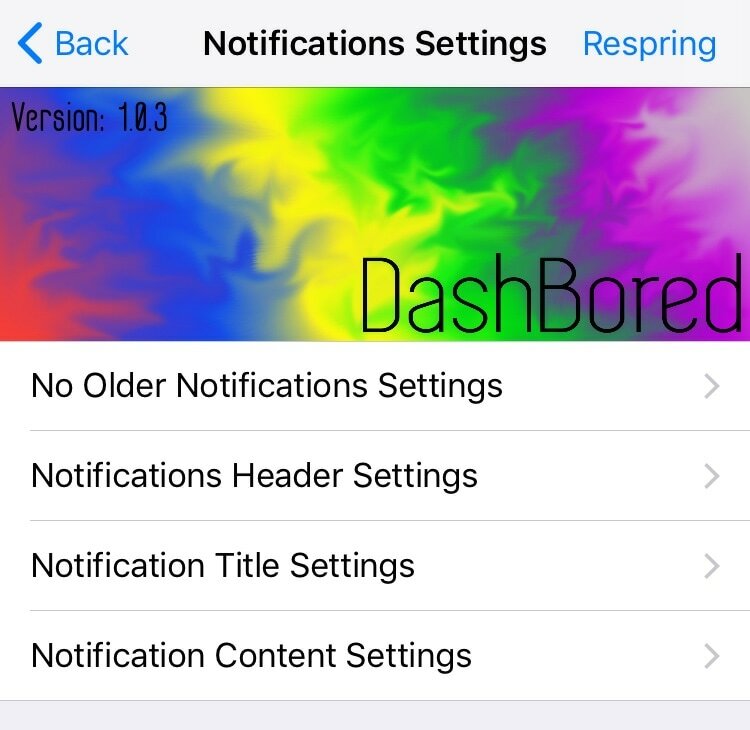 What are your thoughts surrounding the release of DashBored? Let us know in the comments section below.